SNP MSP Graeme Dey has challenged MSPs to back the Scottish Government’s plans to invest over £8 billion in Scotland’s education system. Announcing his draft budget proposals in the Scottish Parliament last month, Finance Secretary Derek Mackay MSP outlined plans to commit £180 million for raising attainment in schools, including £120 million delivered directly to headteachers – helping schools address the poverty related attainment gap and helping children overcome barriers. MSPs will vote on the Finance Secretary’s draft budget proposals next month. “The Scottish Government believes that every child, regardless of their background, should have the same opportunities and chances to succeed. 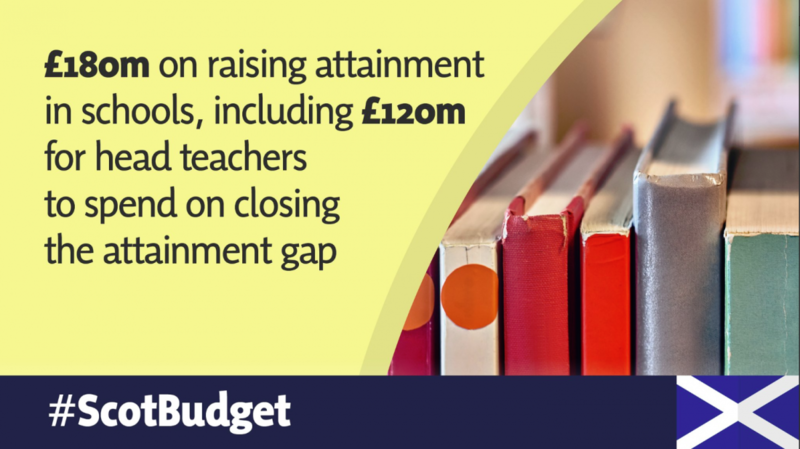 “With education the Scottish Government’s number one priority, this £180 million investment, including £120 million going directly to headteachers, will help close the attainment gap here in Angus South and ensure no child is left behind. “Having discussed the Pupil Equity Funding with headteachers across Angus South, I know just how much they value this money and how well it is used to tackle attainment issues.